Beyond Saudi Aramco’s $10bn bond issuance and $69bn SABIC acquisition, a stepping stone to stalling IPO? Saudi Arabia’s state-owned company Saudi Aramco is about to launch its landmark $10bn dollar-denominated debut bond in the second quarter of 2019. Despite Saudi Arabia’s Energy Minister saying the two operations are not strictly linked, according to Reuters, the Saudi oil giant has considered issuing the bond in order to help finance the just announced acquisition of a major stake in SABIC, the diversified manufacturing company whose shares are owned for the 70% by the Public Investment Fund (PIF) of Saudi Arabia. Energy Minister Khalid A. Al-Falih added also that the oil giant is still planned to be listed in 2021. The Saudi sovereign wealth fund was said to be keen to listen to offers for the world's fourth-largest chemical producer SABIC, especially since its other big investments such as Uber and Tesla are yet to pay off returns, and the investment vehicle is seeking capitals to invest in overseas acquisitions to fund domestic diversifications plans. The recently announced deal will involve the purchase of roughly all of the 70% stake in SABIC held by the Public Investment Fund. That implies a deal value of around $69.1bn. According to the latest news collected by the Financial Times, Saudi Aramco is not going to pay any premium for the stake. In the deal press announcement, Saudi Aramco reported that the deal is perfectly in line with its long-term strategy, since it will increase the company’s refining capacity from 4.9m barrels a day to between 8m and 10m by 2030. About a third of this amount will be converted into petrochemical products, thus exploiting synergies across the two companies. Goldman Sachs, Bank of America, HSBS and M.Klein and Co. advised the fund; Citi advised SABIC; JPMorgan and Morgan Stanley advised Saudi Aramco. Bulge-bracket investment banks that were working on the delayed stock listing JP Morgan and Morgan Stanley has been appointed as the bond’s global coordinators, while Citi, HSBC and the local player NCB Capital are expected to be included as lead-managers. Also Goldman Sachs is expected to join the deal after rushing for a role as a lead manager, bankers familiar with the deal said. These appointments, as reported by Thomson Reuters, show progress towards the possible delayed IPO for one of the world’s most valuable companies. The issuance is positively viewed by the financial community, since a significant step for the state-owned company will be the fact that Aramco will have to release its financials and reserves when it will issue the planned dollar denominated bonds. Not the size of the bond, as much as the fact that there will be disclosure and a full prospectus has been seen as key feature of the deal. In fact, bankers reported that the level of disclosure with this bond issuance is going to be not far from that of an IPO prospectus. Saudi Arabia’s Energy Minister announced that the deal has already progressed quite far, as of March 2019. The bond issuance will also be a necessary step to test waters about investors’ confidence to do business with the kingdom, just half a year after the murder of the The Washington Post columnist and Saudi Arabian dissident Jamal Ahmad Khashoggi. Saudi Arabia is tapping again the global capital markets, in what could be the first of a batch of deals for the world’s largest oil producer headquartered in Dhahran. 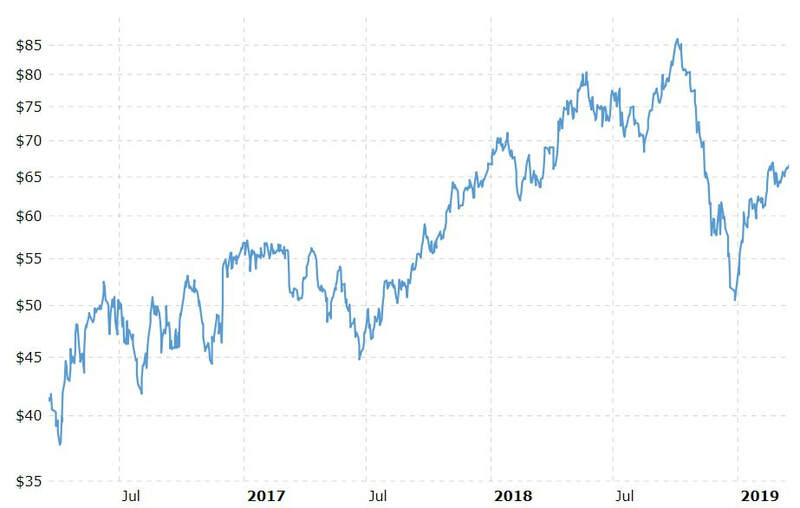 The deal might be well perceived by the markets, due to the trend of oil price that started rising again since the beginning of 2019, and also due to the fact that the bond should guarantee a slight premium of about 35-40 basis point to Saudi Arabia’s benchmark government bonds, that’s yields 4.1% for the 10 years. “ Investors are to overlook the furor over the death of Mr. Khashoggi”. In addition to SABIC deal, the bond issue is intended to provide Saudi Aramco with multiple source of capital, topic of paramount importance since Aramco’s capital expenses (CAPEX) are projected to range from $40bn to $50bn yearly. However, Saudi Aramco will use exceeding cash to fund more or less half of the SABIC deal over a tenor of two years, while bonds and syndicated loans will fund the remaining portion. According to some bankers familiar with the situation, in absence of an IPO, the bond issuance would basically move cash from one state-owned pocket (Saudi Aramco) to another, the Public Investment Fund. The PIF could hence diversify the state-owned wealth fund’s investments into new high growth potential sectors that can at the same time guarantee jobs and push further Saudi Arabia’s economy from traditional oil industry, as the Crown Prince Mohammed bin Salman expressed in Vision 2030. Saudi Aramco’s CEO Amin Nasser said that the oil producer is to acquire a major stake at the right price, declaring that a price premium was related to the inclusion of the kingdom stock exchange in MSCI’s emerging market index. However, some analysts are diffident about the possibility to quickly integrate SABIC’s business in the context of Saudi Aramco’s operations. According to these analysts, the bond might represent a stepping-stone to stock market quotation, since by diversifying also into the chemical industry would make the oil producer more attractive to the eyes of potential investors. All signs point to the preparation for the following IPO, although the possible future quotation itself would be part of a bigger holistic plan for the kingdom, a powerful message to restore business credibility and to show the world that Saudi Arabia is transparent, reliable, and open to the financial world.